Waiting patiently in expectation is the foundation of the spiritual life. 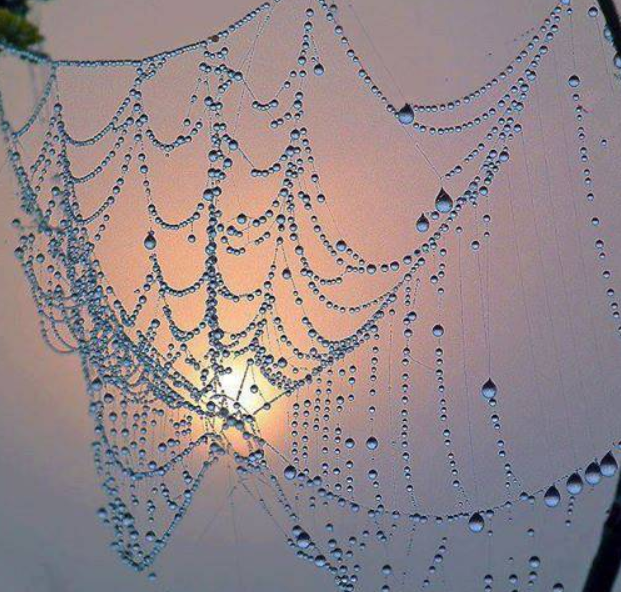 The spider web with the dew droplets is a wonderful image like nature’s own jewelry. as they say in Spain, “patience is the good mother of nature”, doesn´t translate very well into english but you sort of get it, plus it doesn´t sound too bad in english…..or maybe a little in Spanish makes more sense. “All good things come to those who wait…” My thanks for reading and commenting. It’s the patience part that is not always easy… beautiful image to go with a great quote! To lead the least of thy servants to thee. What a beautiful prayer, so appropriate to Simone Weil’s quote! Thank you for sharing it. I don’t consider the foundation of spiritual life as one of “waiting patiently in expectation.” In expectation of what? The foundation of the spiritual life is LOVE: love for God and all of his creation. We should have no expectations, only acceptance, giving, and being. Your perspective sounds reasonable. Perhaps Weil knew that when we are silent and listen, much is revealed to us, rather than when distracted by day-to-day life. Thank you for taking the time to read and comment. What a gorgeous photo and gentle quote to go with it.